Since 2001 the Australian Psychoanalytical Society has been publishing the online journal ‘Psychoanalysis Downunder‘ dedicated to publishing articles, papers, book reviews and commentary by psychoanalysts and others. It is offered free to the general community as a contribution to its intellectual life. One is able to read, and think, at one’s leisure. The release of ‘Psychoanalysis Downunder # 13, under the editorship if Shahid Najeeb who has been doing the job for some years, co incides with a new and revamped website. The adventure implicit inhaving its own facebook page now provides another space for feedback and discussion. Will a Twitter account be next? The existence of Psychoanalysis Downunder reflects a long tradition of purveying and discussing Freud’s and others’ ideas. Psychoanalysis, as this blog also reflects, has long woven its way through Australian culture, in the cities and the bush since the first decade of the twentieth century when Dr Donald Fraser wrote to Freud about a reading group on psychoanalysis and, two years later was part of a group of medical practitioners who invited Freud and Jung to present at the Australasian Medical Congress. From then, as Joy Damousi sketched out in her 2005 book, Freud in the Antipodes, psychoanalysis entered the fields of education, psychology, theology and philosophy. The Australasian Journal of Psychology and Philosophy, first issued in 1923 under the editorship of Sir Francis Anderson, Professor of Philosophy at the University of Sydney, published articles about psychoanalysis and mental life. The journal was the organ of the Australasian Society of Psychology and Philosophy which had branches in the major capital cities in each Australian state as well as in regional areas. It seems to have faded away after WW2, but the idea of enabling ideas to be transmitted across vast distances remains. Australians have always had to manage distance. The network of regional papers and newservices across the country responded to people’s hunger for what was going on in other parts of the world but also kept them up to date with intellectual and social developments. More specifically, during her visit to Australia in 1937, British psychoanalyst and educator, Susan Isaacs, not only was well received by city audiences but, to her delight because women in England did not do such broadcasts, was given the opportunity to broadcast her talks about child development through the radio so that country – rural and regional families – could also listen. 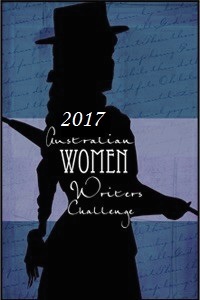 It was an initiative of the Country Women’s Association in Queensland, and repeated in the southern states as the New Education Fellowship Conference, which hosted her visit made its way across the country, through Sydney, Melbourne, Adelaide and Perth from 1 August 1937 to 20 Setpember 1937. The journal also reflects some of the life within Australian psychoanalysis marking changes wrought, sadly, by the passing of colleagues. I think it is exceptionally relevant for Australian conditions where there is an inequity in the availability of psychotherapeutic interventions between metropolitan and regional and remote-rural Australia. Here is another review by Psychoanalyst, Luisa Marino. In this remarkable book Ricardo Carlino (2011, Karnac books) argues that psychoanalysis not only can be applied in a different way from the classical freudian setting, but also courageously tracks the deep meaning of the changes and the paradigms implied in the use of contemporary technologies in this field. For distance psychoanalysis he means together with a considerable part of the contemporary community of analysts, all those different frames that imply that patient and analyst are not in the same room, but somehow distant in the space. For instance, when we deal with a telephone session, a skype session, with or without the use of the camera, or email exchanges, as well as an entire analysis or a psychotherapy started or continuing using these technologies. This year’s Australian Psychoanalytical Society’s Open Days – Contemporary Psychoanalysis: A Treatment for Our Times, will be held in Melbourne, at the RACV Club, 601 Collins Street, Melbourne on 5th September 2015 and will be followed by clinical workshops and the opportunity to experience a Balint Group on 6th September 2015. The conference will examine the role of psychoanalysis in treating serious mental disorders including those which underpin terrorism and fundamentalism. The Keynote speaker is Professor Rudi Vermote M.D, (psychiatrist, and psychoanalyst [Belgium] and distinguished guest speakers Mr Neville Symington and Dr John Boots. A link to the preliminary announcement and further details can be found here. Here is an opportunity to attend two seminars, the first about the history of trauma and the second, about Ernst Falzeder’s new book, ‘Psychoanalytic Filiations: Mapping the Psychoanalytic Movement’ ( Karnac), at University College London on 18 July 2015. It is not so easy for Antipodeans, at such short notice, to merely pop on the plane to visit London for a week or so just to attend these events, but if one was in the area….! One could certainly dip into Falzeder’s book! Or, in the light of current historical interest about the Great War and Gallipoli explore further the way trauma has shaped psychiatry in the Oceania Region. Falzeder’s work prompts reflection about Australia’s own psychoanalytic genealogy and the way this has shaped the psychoanalytic stance and thought. How has the Hungarian School, Ferenczi and Clara Geroe’s analyst, Michael Balint shaped the approach to analysis in the eastern states? What is the influence of Anna Freud in Western Australia? As the children of Empire returned from England after training as Kleinian analysts and therapists during the 1970s, another wave of thought washed across the continent. And as psychoanalysts arrived from Argentina in the 1970s, Lacanian analysis provided another trajectory of thought. More recent, perhaps, is the turning to indigenous thought and philosophy for what we can learn about the mind. new research being done about Asia. Susan Isaacs’ visit to the Antipodes in July, August and September 1937, occupies little more than several pages in biographies about her life and work published so far. But for Australians and New Zealanders it was a rare opportunity. Isaacs’ visit was larger than the New Education Fellowship Conference of which she was a key lecturer even through The conference itself was one of the most significant events in interwar Australia. Throughout the press across Australia Isaacs is recorded as speaking to full houses. She is the delegate who is chosen to be photographed with a koala. Her reunion with her sister after eighteen years would have touched many people who had long left family and friends behind in England. There was something very appealing and human about Susan Isaacs. It is hard to write a biography, or any historical work without access to sources. Inevitably much of the focus in Isaacs’ biographies, of course, is upon her development as a psychologist and teacher in England during the 1920s and 1930s and, from the mid 1930s, as a psychoanalyst. She had completed her initial training and gained full membership of the British Psychoanalytical Society in 1923. In 1927 after meeting Melanie Klein, she entered analysis with another analyst Joan Riviere so as to understand for herself the meaning of Kleinian thinking. Her ability to argue for the importance of Klein’s position during the ‘Controversial Discussions’ within the British Psychoanalytical Society during the early 1940s, and show that unconscious phantasy influences daily life in all people, also led to her seminal paper, ‘The Nature and Function of Phantasy’, published in the International Journal of Psychoanalysis in 1943. Isaacs visit to Australia could be said to have been a significant event in her life, if not her development. Travel was hard in the 1930s. The effort and time needed meant that such journeys to Australia from England for short periods as several months rather than several years were rare. And Australia was so far away. Dorothy Gardner, Isaacs’ first biographer and a former student, may have suffered from lack of access to sources. 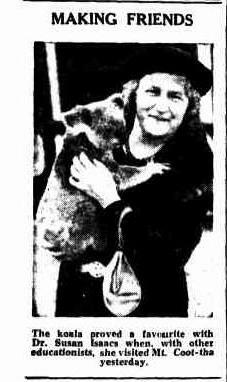 Although her visit to Australia is well documented in Australian newspapers, Isaacs did not keep such press clippings for posterity. Had she done so, Gardner would have found records of her speeches, her social engagements and most significantly for Isaacs, her reunion with her younger sister, Alice, who had emigrated to Australia with her husband eighteen years earlier. Gardner’s 1969 account generally highlights the opportunity for Isaacs to renew friendships in the United States. Gardner relates that in New York Isaacs was the guest of the Child Study Association and had the opportunity to travel to Berkeley in California where research was being carried out. In New Zealand Isaacs lectured to audiences in Auckland and Wellington, and Gardner guesses, ”she certainly visited Christchurch and probably the other cities” (p. 116).She was greatly admired by Mr Campbell, the Head of Education in New Zealand, but there is little information about the issues that concerned New Zealand, and Australian, audiences that had resulted in such interest in her work. Philip Graham, Isaacs 2013 biographer, has little more detail to add. He notes that several delegates, including Isaacs, did not hesitate to criticize the Australian education system. Their recommendations were taken up and used to reform Australian education so that it became more relevant to the two countries, he continues. An important point, also underlined by historian John Godfrey in his 2004 article on the Conference, is the very strong interest in the conference among the Australian public. One motivation for the Conference was the recognition among educators, government and politicians that Australian education was in need of revival. In his introduction to the Conference proceedings, K S Cunningham of the Australian Council of Education Research, noted that ‘owing no doubt to our remote and somewhat sheltered situation in the world, we had failed to keep up with this forward movement that featured in other parts of the world. This stressed the liberal view of the school’s function in a democratic community, and ‘a recognition of how great a part popular education must play in promoting, not only the well being of individuals, but also the security and well being of nation as a whole’, (Cunningham, 1938, p. 1). 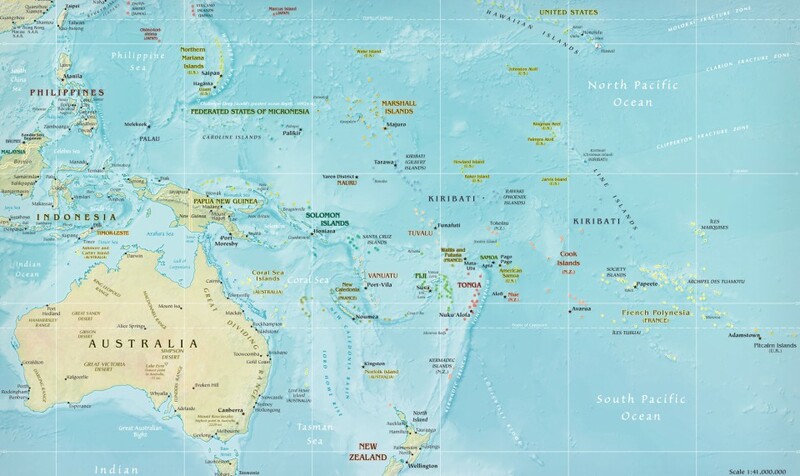 Godfrey’s article might be ‘breathless’ in tone, as Graham caustically remarks, but for those in the Antipodes, the conference was part of a larger process of developing Australian nationhood. Rather than remaining dependent upon the old country for direction, Australian educationists sought to develop a system suited to local needs. The critique provided by Isaacs and her colleagues was sought, if not understood to be part of the arrangement during their visit. Isaacs was chosen for this role because she was known to Australian audiences for her work as Principle of the Malting House School where she used the opportunity to record the children’s play and conversations – the basis of her books, and Intellectual Growth in Young Children, were favourably reviewed in education and psychology circles. In January 1933 the West Australian newspaper published a reviews of The Nursery Years and The Children we Teach was a shorter version of Isaacs’ The Intellectual Growth of Young Children, was reviewed by a month later. Although not named, the author of both items was likely to have been either Professor Cameron, Head of Education at the University of Western Australia or Professor Fowler, who led the Psychology department. Isaacs’ book, ‘Social Development in Young Children also carefully reviewed in the West Australian, in November 1933. Isaacs’ points, that children had individual, emotional lives of their own, that all behaviour had meaning and that this could be understood in terms of children’s psychical development and internal phantasy life, were new ideas for people brought up with the notion that the task of a parent was to train and mould children into adulthood. was a small experimental school for research and the children were between three and eight years of age. The object was to study the problems of children with a view to making better use of the natural curiosity with which those this age are endowed. They were allowed to investigate the realities of nature and had a little laboratory where they experimented with crucibles, bunsen burners, and so on, so that knowledge of scientific phenomena might be instilled in the early years. Among the children was a grandson of Sir Ernest Rutherford, the noted physicist. It was most interesting to notice the extreme difference between the children, and to observe the trend of each mind towards artistic or scientific subjects. Isaacs had her own reasons for accepting the invitation to visit Australia from the Australian Council of Education Research. Professionally she was interested in Aboriginal culture and what might be learned about the human mind. She was deeply familiar with the work of Geza Roheim and later lectured on this to students of psychoanalysis. A second, more personal reason was the opportunity to see her younger sister Alice who had emigrated to Australia shortly after her marriage eighteen years earlier. The two travelled together for part of the tour, at least and in Brisbane stayed together in accommodation at the Women’s College at Kangaroo Point. Isaacs had been ill with cancer during 1935 and 1936. It was a rare opportunity to see her beloved sister and to take time from her psychoanalytic work. In England, there Is not such a thing as a woman radio announcer, and one- of the ‘moat pleasant recollections I will take away from Queensland will be of a broadcast talk I gave from the national station to the Country Women’s Association last Thursday, during which I had how wisely the Influence of the women’s session was being used to benefit the women of Queensland. There were further opportunities for radio broadcasting, in Victoria, South Australia and Western Australia. She was awarded an Honorary Doctorate from the Universty of Adelaide. Perhaps Isaacs’ appeal, along with the intellectual integrity she brought to her work, was that she spoke to people about the very real concern of raising children. Her efforts to translate complex psychological ideas into plain English, the research which underpinned her analyses and her preparedness to communicate in a variety of ways contributed to peoples’ desire to learn more about thinking, human development and relationships. She spoke about infant development, telling audiences about the investigations that were occurring into the mental life of infants. Her concern, to help people to think about children’s behavior, found audiences in unexpected places. The Telegraph, ( Brisbane, Qld: 1872-1947) Saturday 7 August 1937, page 8, http://nla.gov.au/nla.news-article184564179 accessed 3 June 2015. Cunningham, K S, ed; (1938), Education for Complete Living: The Challenge of Today – The Proceedings of the New Education Fellowship Conference held in Australia August 1, 1937 – Setpember 20, 1937, Melbourne, Melbourne University Press, 1938. Gardner, D E M ( 1969), Susan Isaacs: The First Biography, London, Methuen Educational Ltd.
Godfrey, Johm (2004), Perhaps the most important and certainly the most exciting event in the whole history of education in Australia. History of Education Review, 33, 45-58.